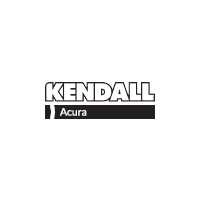 At Kendall Acura of Eugene, our greatest concern is the safety of our customers. We are proud to offer our drivers some of the strongest safety and security features on the market today, and we hope to see our drivers make a positive impact on the safety of roads in Salem. That’s why our Acura dealership would like to share the following five tips for practicing safe driving around some unconventional commuters: cyclists. Recognize the added danger of traveling on a bike. Cyclists do not have the protection of a car frame or even a seatbelt, so they are automatically in greater danger on the road and particularly in the event of a collision. Acknowledging this fact should inspire you to take greater caution when traveling alongside them. Refrain from looking at your phone. You should avoid checking your phone any time the car is in motion, but this tip is particularly important when the safety of cyclists is involved. Driving is distracting enough without having to account for text messages and other notifications, and you should make a conscious effort to eliminate as many distractions as possible to make yourself a safer driver. Communicate effectively while driving. We hope that you utilize any and all notification systems while driving your 2016 Acura RDX, such as turn signals and the horn. These tools are especially important when communicating your next move to cyclists as you may not always be able to see where they are in relation to your vehicle. In addition, you should be on the lookout for cyclist signals — a raised left hand or extended right arm indicates a right turn while a raised right hand or extended left arm indicate a left turn. Stay three feet from a bicycle at all times. This distance will enable both you and cyclists to maneuver effectively and safely, and it is a distance required by law in many states. Last but not least, look out for cyclists before exiting your car. An open car door can mean an unexpected obstacle and potential injury to cyclists. Take a moment to scan for them in your rearview mirror or through your window before opening the door to exit.